Generate Conference NY was the perfect follow-up to FEDC last week in Florida. I'd been looking forward to the speakers in this line-up since it was released last year and they didn't disappoint. Sara Soueidan opened the conference spouting out solutions she's found in her practice that can help lead to more inclusive and accessible products (audible ooh's and aah's filled the room, seriously). In my experience as well as what she described, accessibility is either an afterthought or not seen as important. Sara used examples that even non-code savvy designers can appreciate such as being sure to not write HTML in all capital letters as a screen reader will then read the individual letters rather than the word. She ended her talk with the statement, “let's build products that care about people”, which I underlined and starred in my notebook, because it really is just that simple. I'd been looking forward to seeing Mina Markham speak since I came across her Medium article about the Pantsuit UI pattern library last summer. Not only am I a huge Hillary Clinton supporter, but I was immediately drawn to the creative behind her campaign: the typography, the consistency... even if you didn't stand with her you can't say that wasn't some of the best political design yet. But anyway, Mina spoke about the whirlwind of the 18-month campaign and how she managed to deploy one consistent UI to multiple codebases and departments. She shared her teams' workflow of “(re)define, implement, test, iterate” and how they had to quickly understand that done is better than perfect, especially in such a fast-paced, “impermanent” environment. During the last few minutes of her talk, she shared what the final moments of the campaign were like for her and her team, showed beautiful photographs from inside HQ (that I could barely see through teary-eyes), and assured us that if given the opportunity she would do it all again. Tying back into FEDC was the major common thread of staying user-centric (even if time is limited), remembering that our work is about people, and embracing fluidity. Multiple speakers referenced that we should be answering the 5 W's (who, what, when, where, why) before even thinking about the how, goals, or measurements of the project. 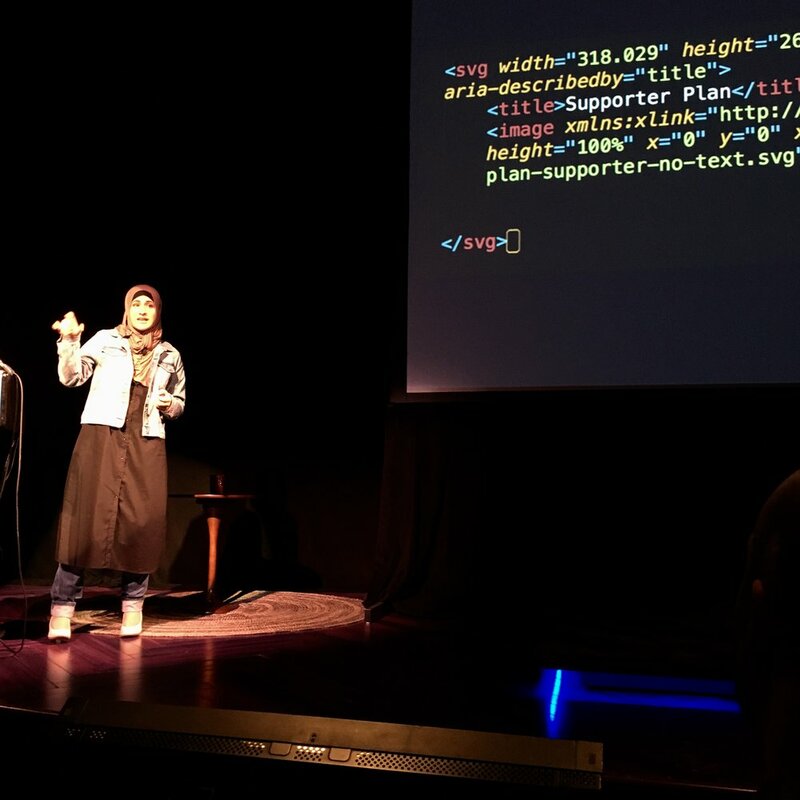 Jen Simmons spoke about the advances happening in designing with CSS grid (again, ooh's and aah's audibly heard in the room) and reminded us that we need to remember our roots of graphic design and not see that as a limitation. These conferences are also a great reminder of the wonderful community that comes with being a part of the web industry. I've mentioned before how the Central PA area doesn't have a very large network in comparison to a larger city like Philadelphia or New York, but the community created at events and even online is fantastic. I love being able to see the people I admire speak to one another via tweets of encouragement. ... And I'm so glad she did because I was in the same room and rather than say anything, I just cringed to myself. She is completely spot on in her criticism of the comment made and it needed attention. I was again glad to see that some of the people I follow in the industry commented their distaste in this behavior and shared screengrabs of the conference's' Code of Conduct, asking if the organizers were made aware. I don't often go to after parties or events at conferences for this reason amongst others, and as unfortunate as the incident was, I'm glad that when all I could do was cringe, another woman in the room spoke up.